Validation from an independent source about the caliber of the educational offerings in Park City comes from Newsweek which has ranked Park City High School among the top 200 high schools in America since 2004. Park City High School offers a complete high school curriculum and an extensive selection of AP (Advanced Placement) courses. Language offerings include Spanish, French, and Mandarin Chinese. In conjunction with the AP curriculum and with the support of members of the community, PCHS has offered school sponsored trips to Europe and China. Core curriculum for the public middle schools covers language arts (writing and reading), math, science, social studies (history), healthy lifestyles (health and physical education) and information technology (computers). Expanded curriculum includes drama, music, band, French & Spanish, visual arts, dance, shop, home economics, and life skills classes. Outdoor education programs allow students to experience nature and hiking as well as learning about environmental issues through slides, lectures and hands-on projects. All of the Park City public schools offer the state regulated core curriculum. Each of the public elementary schools are required to offer reading, math, science and social studies, and several of the schools offer dual immersion programs in Spanish and English or French and English. Park City public schools also offer physical education and computer classes in grades 1 through 5. Further evidence of the community�s support for education is the commitment and contributions of the Park City Education Foundation. Over the past ten years, PCEF has raised over $4,000,000 which has funded pilot programs such as full day kindergarten, after school learning assistance programs, books, library additions, science and technology programs, and advanced teacher training. Few communities support education to level Park City does, and few student populations get as much out of their educational opportunities as do the kids in the Park City School District. 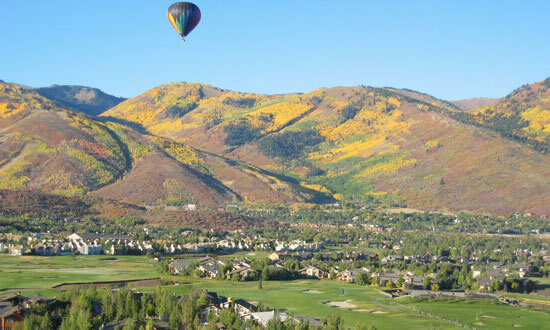 There are also excellent private schools in the Park City area, offering a diversity of education. Currently there are two Montessori academies, a private acadmic day school, and an unusual and respected school for winter-sports athletes, which inverts the normal educational calendar, placing intensive academic work in the summer, freeing the winter competition season for the athlete/students. Please contact me to begin research into these if of interest.